The 2015 Uniform Mechanical Code and 2015 Uniform Plumbing Code (UPC) for the city of Austin, Texas includes a deadline of December 31, 2017 for registration of all Cooling Towers in the city. There are several specific rules that require upgrades to most older towers. 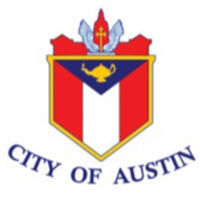 Section 1126.0 of the city’s UPC requires all properties with cooling towers to register them with Austin Water. Drift Eliminators with a drift rate of not more than 0.005% of the tower circulating rate. Cold water basin high level alarm. Must operate at a minimum of 5 cycles of concentration. The City ordinance requires that cooling towers must have a cold water basin high level/overflow alarm. For cooling towers of 100 tons or more, the make-up and overflow meters, and the over flow alarm shall be connected to the building’s Central energy Management System or Utility Monitoring Dashboard. What this means is that all towers need a modern system with alarms and sensors that can connect to a BMS. Waterline Controls model WLC-6000 Cooling Tower Water Level Controller is our most popular model for providing a high level alarm, make-up water control, low alarm and a low water level cutout. 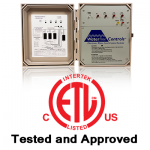 Waterline Controls has the system to retrofit and get you compliant fast. Our Stainless Steel Electronic sensors and solid state software driven controllers offer the connectivity, accuracy and reliability you need. With a multi-wire connection for you BMS or Building Automation, we have you covered.